It’s near. It’s near. It’s nearly, nearly here. That’s right, Game of Thrones Season 2 premieres this weekend and Rick and I could not be more excited. We’ve been reading the whole Song of Ice and Fire series before bed ever since the first season ended and while we’re already on A Storm of Swords, I can’t wait to see how they adapt A Clash of Kings for the small screen. So, to tide myself over I decided to adapt this hipster craft to be a little more Fantasy nerd friendly. Paint your canvas. This is an optional step, but can be useful to set the cork apart from the background or to tie the map into your current decor scheme. 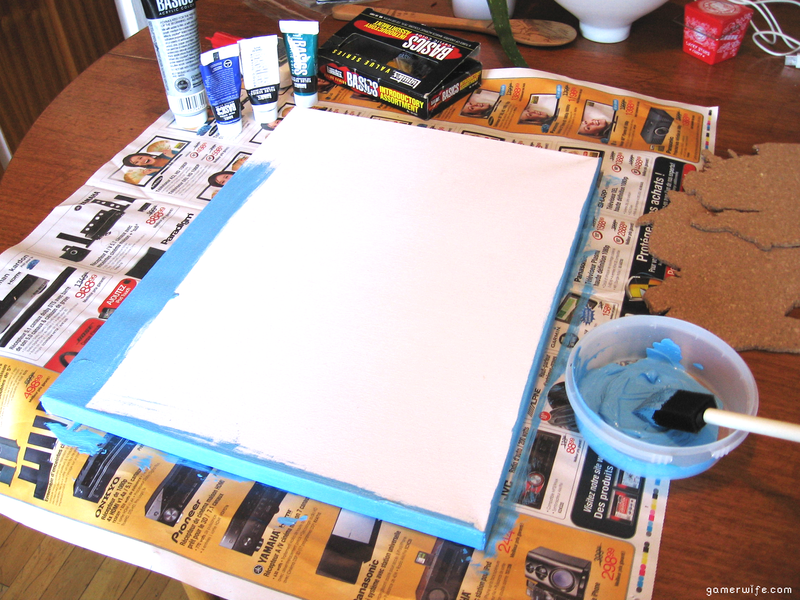 I used a mixture of acrylic paints to create a soft, dreamy blue. 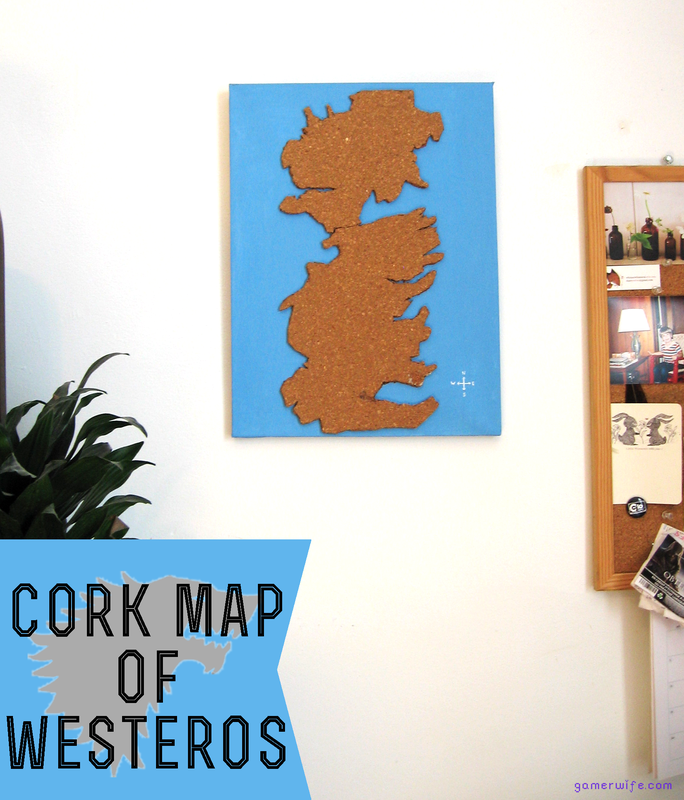 While your background is drying, print out the templates (Westeros – North and Westeros – South) and use pushpins to affix them to the cork sheet. Use sharp scissors and/or an exacto knife to start cutting. I found the exacto knife was particularly useful when navigating the little jetties and fjords around the map. Repeat with the second cork sheet and the second part of the map. 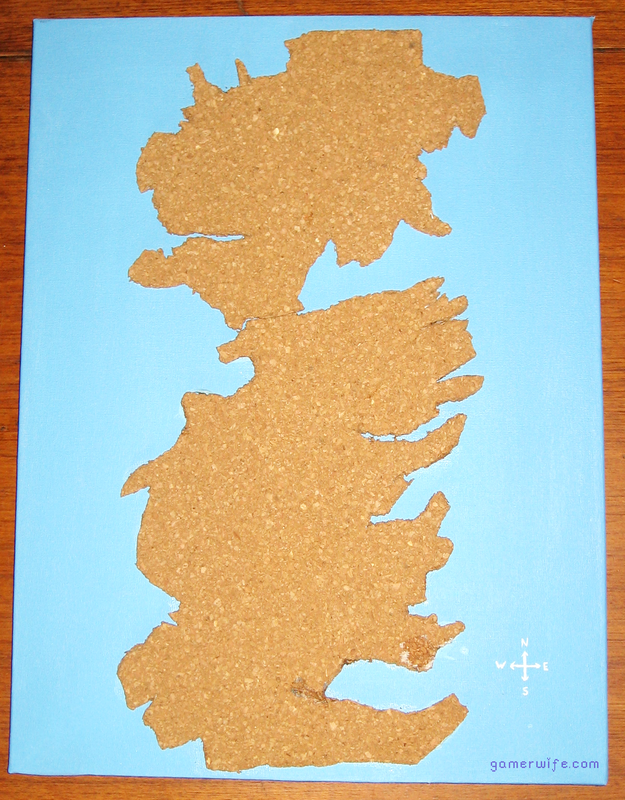 Line up both parts of the map and use craft glue to affix them to the dried canvas. I also painted a little compass in the corner to make it more “map-like”. Allow to dry overnight. You may find it useful to place something heavy on top of the cork to make sure that all of the jetties and fjords stay stuck to the canvas. 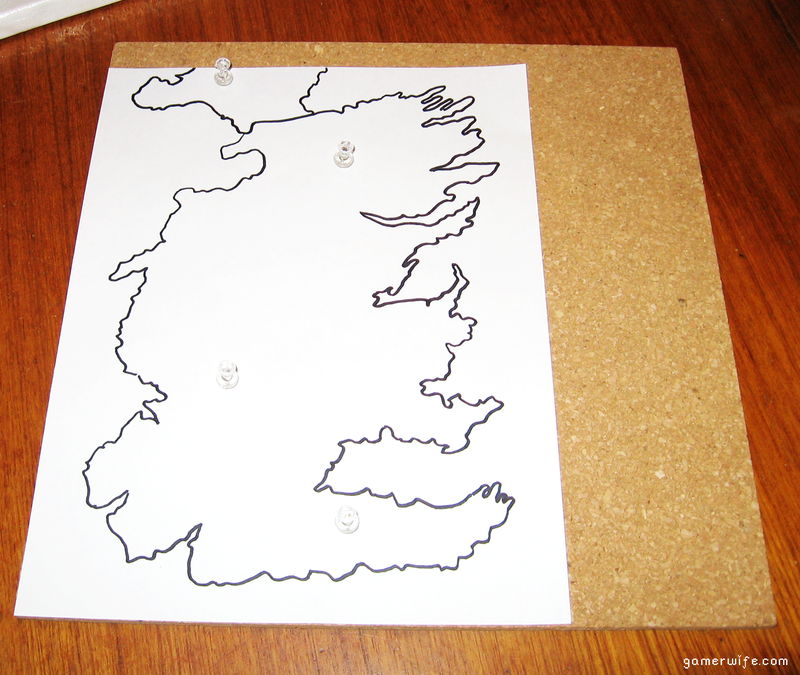 Once it’s all dried you can hang it up and use pins to track your favourite contender to the throne as they concur Westeros!